night of the year goodbye and welcome the light. Additional Info: Soup and bread will be provided. In keeping with our value of sustainability, please bring a bowl and spoon if you can. Dress for the weather, as there will be an outdoor prayer! 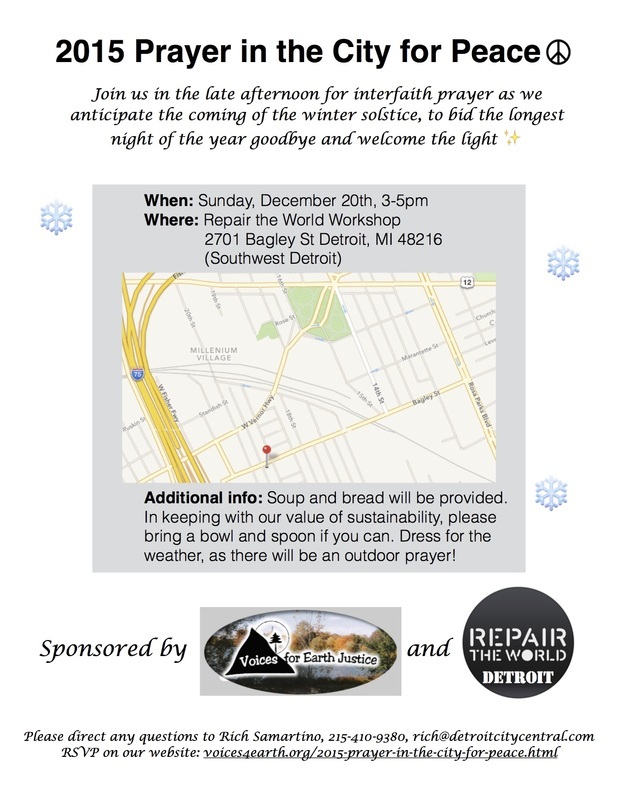 The event is sponsored by Voices for Earth Justice and Repair the World: Detroit. Please RSVP through our event on Eventbrite or Facebook, or by filling out the form below. This is a free event.